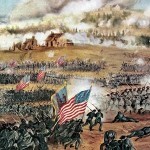 The Battle of Fredericksburg was fought in and around the town of Fredericksburg, Virginia, from December 11-15, 1862, during the Civil War. 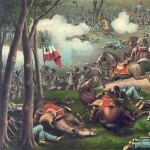 The battle was marked by the futile advances of troops from the Union Army of the Potomac, commanded by General Ambrose Burnside, against Confederate positions at Marye’s Heights on December 13. 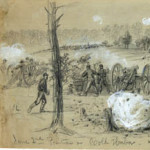 The Confederate troops of the Army of Northern Virginia, under General Robert E. Lee, were supported by artillery and protected by entrenchments and a low stone wall that ran along the high ground. 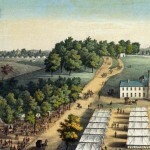 The Union soldiers were obliged to advance from Fredericksburg across open ground, and the predictable result was a debacle for Burnside’s forces. Union casualties at Fredericksburg totaled 1,284 dead and approximately 9,600 wounded, more than twice those of the Confederates. 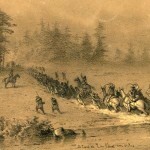 Burnside was subsequently relieved of army level command. 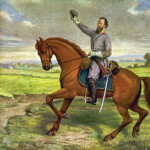 How Did Stonewall Jackson Actually Die?